All prices for cash purchases.$449 Doc Fee, Sales taxes and Registration fees are extra. Actual vehicle options as well as trim level should be confirmed with the dealer by the customer. Message: Thought you might be interested in this 2017 Ford Mustang. My name is Albert Gavrielov. 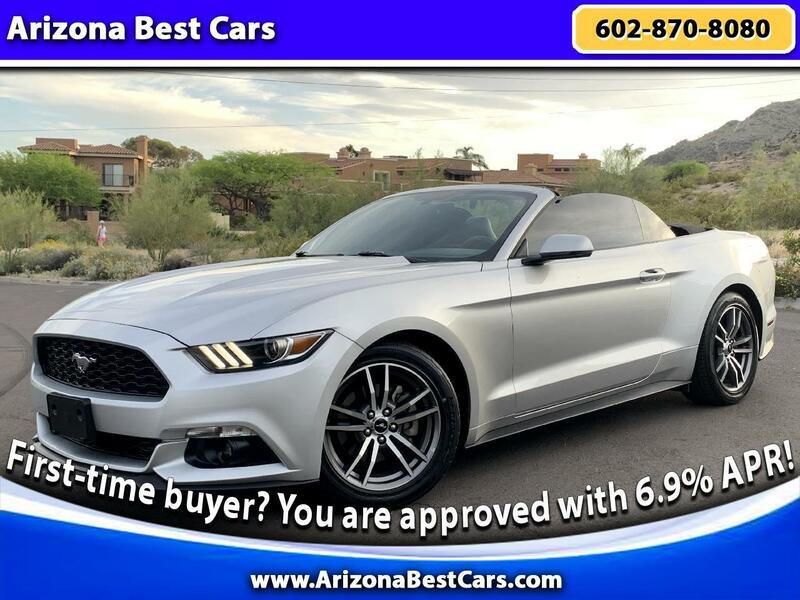 I am a dealer principal.Welcome to Arizona Best Cars where "You Breathe - You Drive". This is not just a motto - it is our sales philosophy. Not only we provide our customers with quality vehicles at more then competitive pricing - we also promise to take extra step, and if necessary to walk the extra mile in order to secure best possible financing for our clients. And it makes no difference whether you have excellent credit or you are a first time buyer, whether your credit score 700 or 450 - we guarantee you payments you can afford with a minimum down payment amount. Come check us out - You won't be disappointed - I guarantee it!